I recently purchased these hayes rims. They fit perfectly on my wheels, so they are good. Another member saw them and informed me that they were not made for Ford. One of the lugs is open and I assumed that was to help place them on the rims. In the one picture you should be able to see that the lug says Hayes on it. Did Hayes make rims for other car manufacturers? Could some rims be interchangable? Did other manuf also use 30 x 3 1/2 wheels so that Hayes could make a rim that fits more than one brand of wheel? Hayes did indeed make rims for other cars,Chevy for one. If they fit your wheels enjoy. Below is the photo you posted rotated 90 degrees so it lines up better with the photo above. 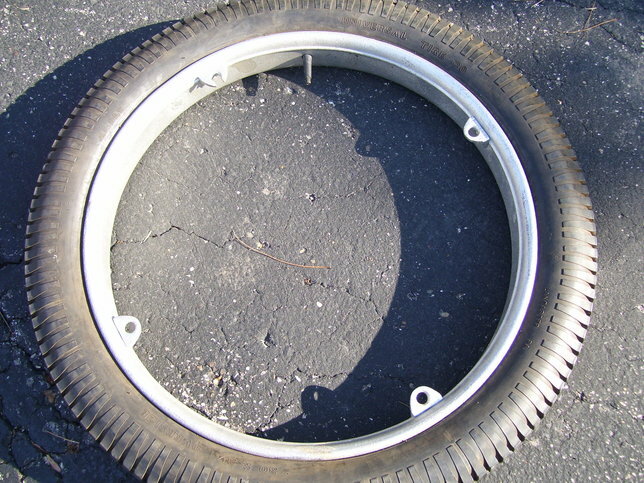 Note your rim was also manufactured by Hayes � i.e. as show on your lugs. That is a common part to swap out from the Chevy to the Ford. 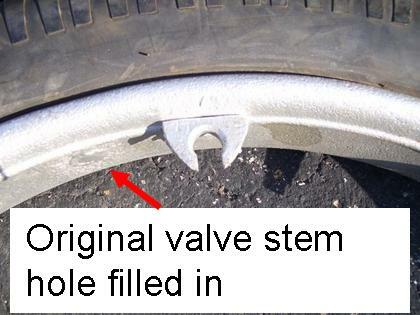 [Note some of the 21 inch Chevy balloon tire rims will also fit the Model T 21 inch balloon wheels � again relocating the valve stem. BUT some of the Chevy 21 inch split rims are wider than others and they do not fit properly on the Model T 21 inch wheels)]. They should function fine for you. Thanks for the photos and your help. I have some wheels coming and hope they fit too. David, you are right the valve stem has to go down into the rim but as the bolt hole is so close you need the slot cut in the rim lug so the bolt allows that to happen. The lug closest to the valve hole was cut open on the rims that didn't fit, guess they were Chevy rims? They are indeed Chev rims, and are most likely about 1/4" wider than a T rim. The original Chev valve stem hole has been welded shut. The lug closest to the valve hole has to be slotted to allow the valve stem to be lowered through the hole in the felloe and the let the lug slide down over the wheel bolt. T rims, having the valve hole further away from the wheel bolt, can be fitted by lowering the valve stem into the felloe hole and skewing the rim a little to get the closed lug over the wheel bolt. 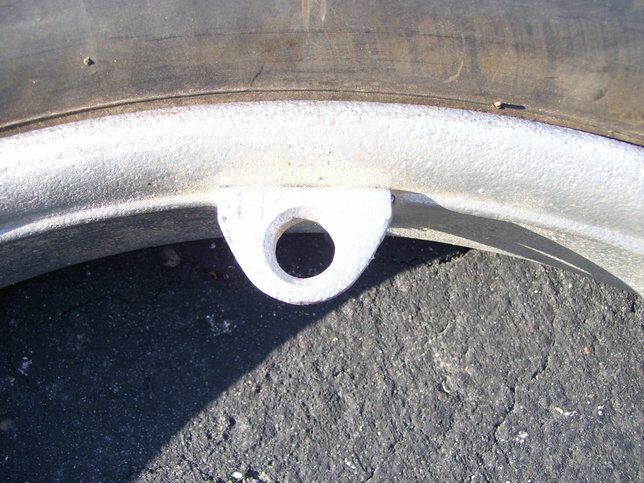 Even so, the lug nearest the valve hole is a little oval in the hole to allow it to clear the bolt. 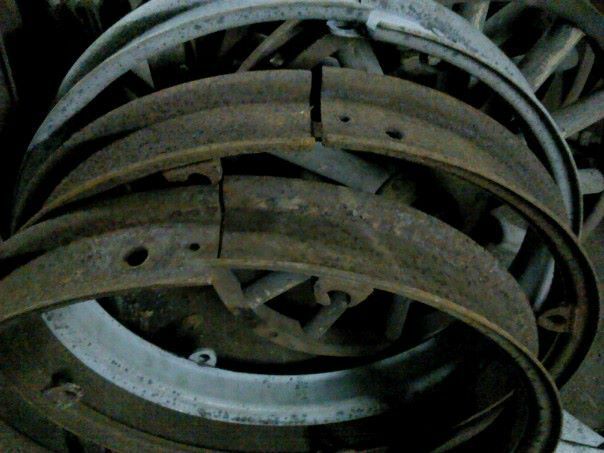 I had a fellow who once rebuilt that hole into round, and then couldn't fit his rims without removing the wheel bolt! The rims are definitely Chevy, but the valve stem hole has been welded shut and a new one made to fit the T felloes. They are really 31x4. I can purchase 31x4 tires and they use 30x3 1/2 inner tubes and rim flaps. We put one together with a 30 x 3 1/2 tire and it seems like it should work fine as long as the pressure keeps the wheel on the rim. Any reason why 30 x 3 1/2 tires shouldn't work on 31 x 4 rims? 30 x 3 1/2 "Oversize" tires, i.e. Universal T Driver are really 31 x 4. In both cases the tire uses a 23 inch rim. I think you have tyre sizes and rim sizes mixed. As Ted said, both rims are 23". Using old tyre sizes one can calculate the size of the rim they fit by doubling the tyre width and sutracting that number from the tyre diameter. If you double the width of a 3 1/2" wide tyre to get 7 and subtract that from 30" you get a rim diameter of 23". Likewise double the 4" to get 8 and subtract that from 31" gives you 23" again. The newer way of tyre sizing, eg. 4.40 x 21 for the balloon tyres on 26-7 Ts does not work this way. It does make sense to actually quote the rim size the tyre fits and then the width of the tyre. I should have made this clearer. What I was concerned with is the inside of the tire. A 31 x 4 rim is wider than a 30 x 31/2 rim by about 1/2 inch. 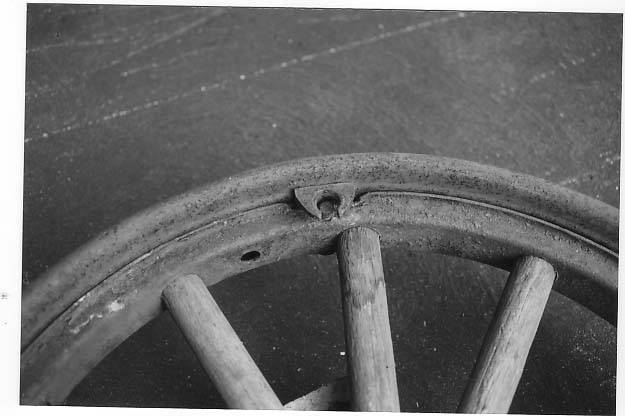 The 3 1/2 rim is about 2 1/2 inches wide, and the 4 inch rim is about 3 inches wide. That means that the inside of the clincher tire is not necessarily butting up against itself on the wider rim so that would leave a gap for the inner tube to squeeze between the two sides of the tire. Rim flaps are even more important in this instance. 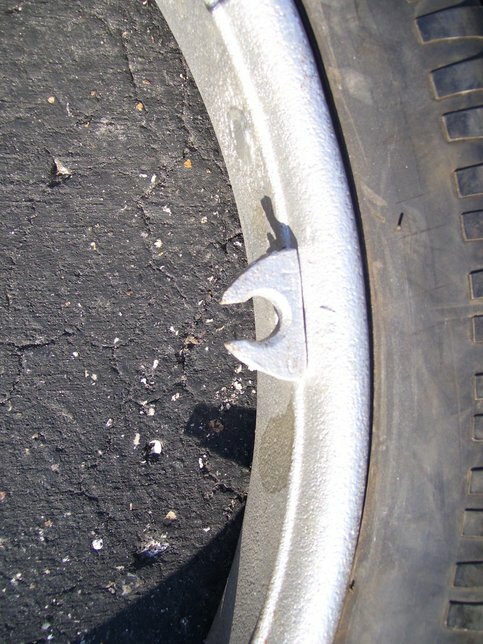 Also, if the rim is 1/2 inch wider, and the pressure in the tire drops below say 50 pounds, is the clincher more likely to pop out of the rim and come off the tire? i.e. it becomes more important to make sure that you keep the pressure inside the tire up around 60 pounds so this cannot occur. Allan, your above figures are correct but I believe the 3 1/2 and 4 numbers are height, not width. The 30 X 3 1/2 tire stands 30 inches to the top of the tire and when you subtract both tire heights (top and bottom), you are left with the center which is 23"
I don't know that any of the modern clincher tyres have wide enough feet to meet in the middle any more, so rim width is a moot point. You are right about keeping the pressure up to 60lbs in any clincher tyre. Using a rim liner cut from the outer diameter of a 13' inner tube is all you need to keep the tube safe in a clincher tyre. I have seen tyres fitted with rim flaps which have not seated properly because the tube was pushing on the flap rather than the tyre.